Welcome to Alinda of the Loch! Join us on an enchanted journey about the story of Sleeping Beauty's daughter, Alinda of Loch Ness! What makes a fairy-tale a fairy-tale? Is it the conflict, where good conquers evil just as all hope seems to be lost? Is it the romance behind the tale, where a kind but downtrodden girl is rescued by a seemingly flawless prince and takes her away? Or maybe it’s the closing phrase and they lived happily ever after? But what does really happen after they live happily ever after? 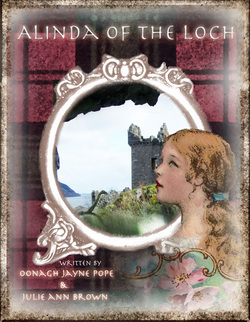 The story Alinda of the Loch answers these questions for you through stories and tales, creating a whole new adventure to be told.